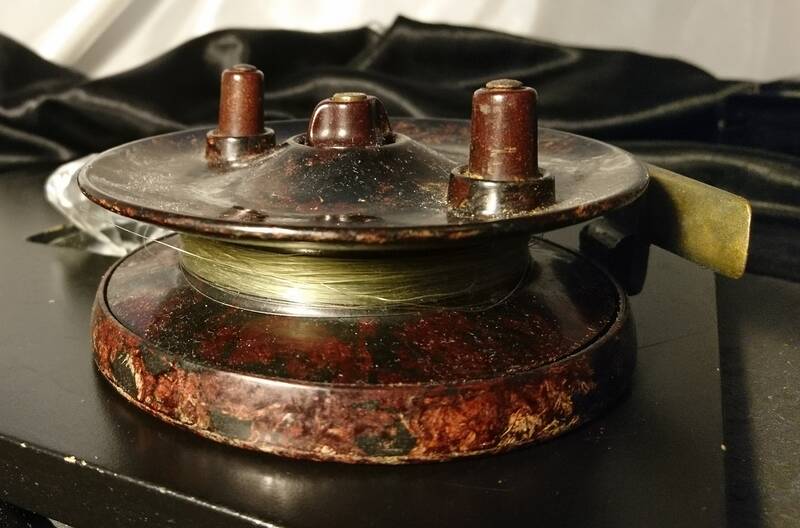 An original vintage fishing reel made from Bakelite, it is an Elo brand reel made in England in the 40's from the famous Bakelite plastic. 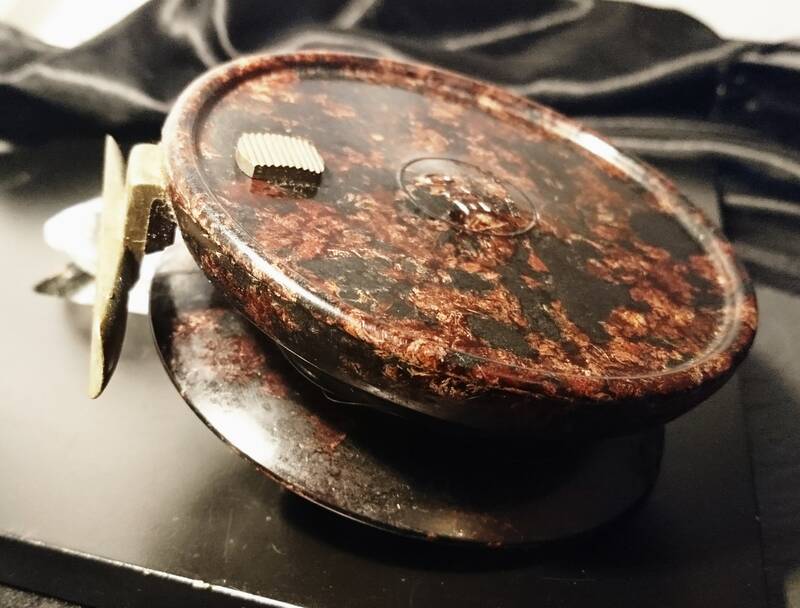 It has a brass pole rest and fitments, the branding is impressed into the reel and it turns nice and smoothly. 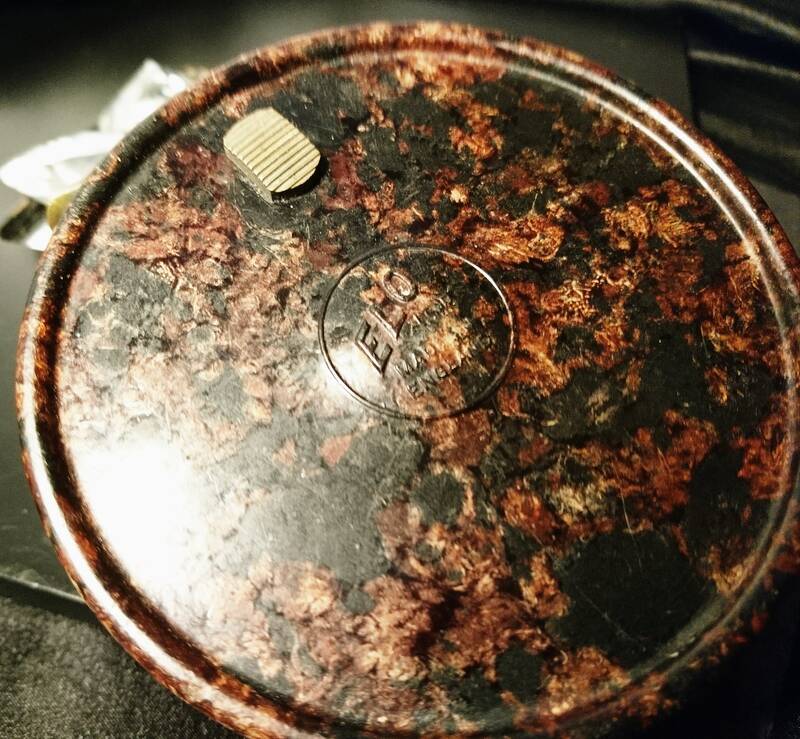 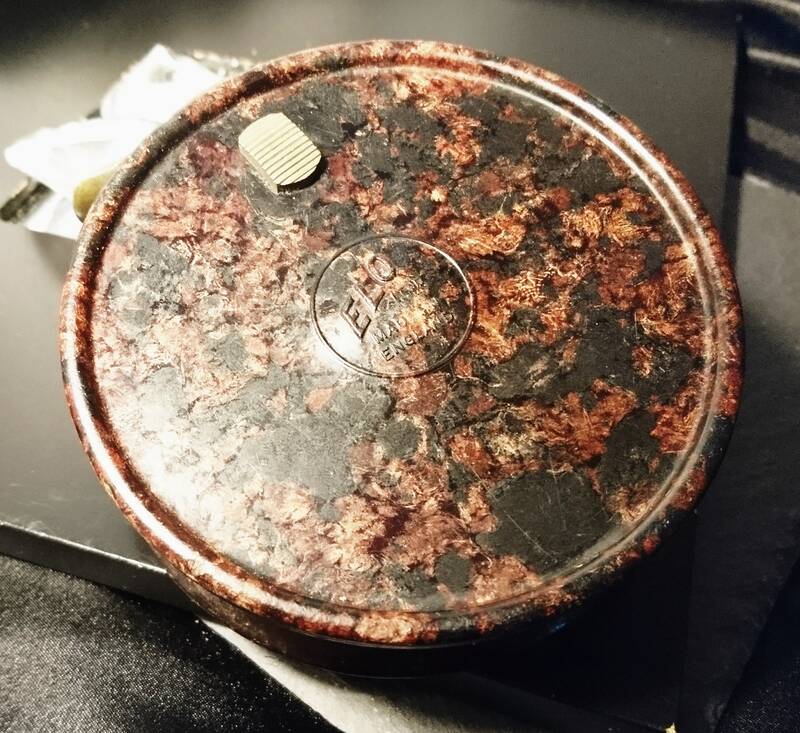 It is a mottled red and black Bakelite. 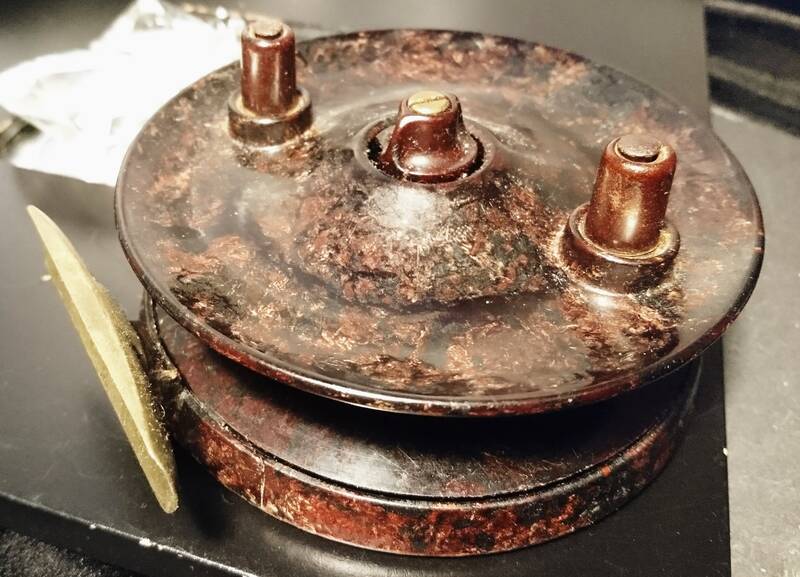 It has some of the original fishing line wound around. 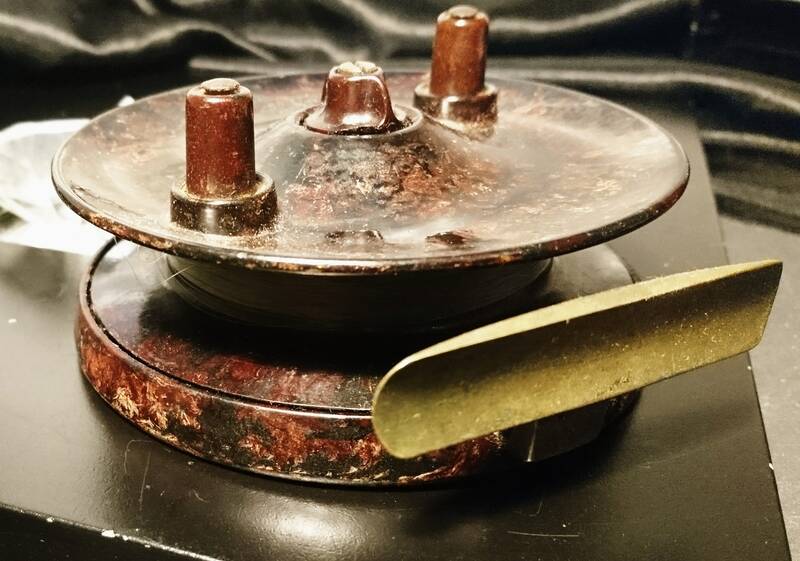 A great collectors item, would make a nice gift for the fisherman dad. 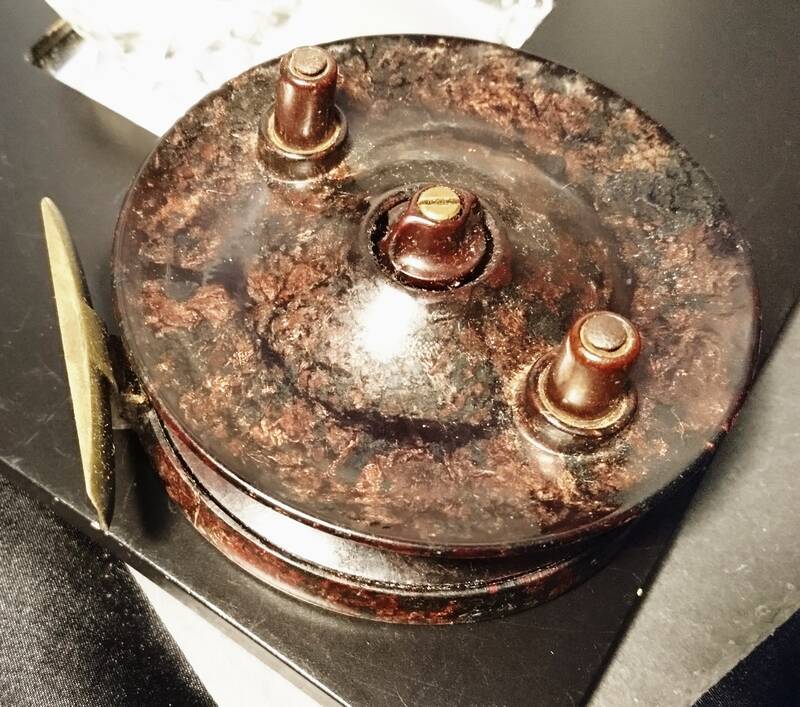 Approx 4" diameter, 1.5" depth.